The increasing importance of portable and wearable devices incorporating more advanced electronic technologies, as well as the future deployment of wireless sensor networks embedded in our everyday environment has made on‐board energy storage a critical issue. We are developing at ISGE different IC-compatible technological processes to integrate various innovative materials (activated carbon, carbon onions, carbide derived carbon, carbon nanotubes, carbon nanowalls, RuO2, MnO2, LiFePO4, Li4Ti5O12) for the development of enhanced micro-supercapacitors (MIDISTOCK Project) and Li-ion micro-batteries (MATFLEXEND Project). Specific capacitances up to 1000 mF/cm2 were obtained and components with extremely high power densities were realized. With these components, we are aiming to provide energy storage on chip, which can be realized at the same time as the electronic circuit and/or the sensor requiring power. With these components, we are aiming to provide energy storage on chip, which can be realized at the same time as the electronic circuit and/or the sensor requiring power. Schematic (a) and image (b) of an encapsulated micro-supercapacitor. This research activity aims at developing a more integrated and compact power electronics (breakdown voltage 1200 V and current density 100 A/cm2) obtained by the emergence of new monolithic structures and mixed monolithic-hybrid in the form of a network of switching cells and thus allowing to improve performance, reliability and to reduce fabrication cost as compared to the hybrid integration approach. The main objective is to demonstrate through technological realisations, and by following two original integration approaches, the monolithic integration in silicon of a generic static power converter (AC/DC or DC/AC) dedicated for medium power applications. 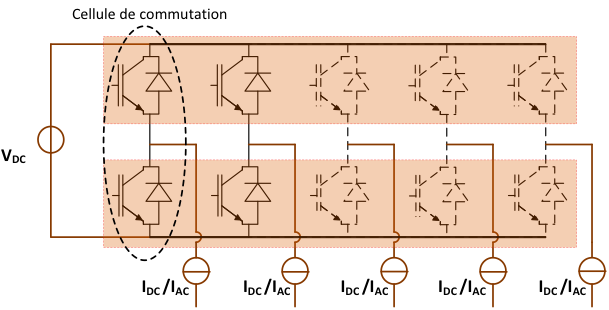 The first integration approach called « dual chip » (figure 1) makes use of two generic and complementary monolithic power chips. One chip is a common anode monolithic multi-pole power chip that integrates the switches that share the anode electrode and form the high-side part of the converter. The other chip is a common cathode monolithic multi-pole power chip that integrates the switches that share the cathode electrode and form the low-side part of the converter. The second integration approach called a single chip or ultimate approach (figure 2) integrates all the switches (high-side as well as low-side) in a single chip. The objectives of the two approaches are the suppression of wire bonds and the reduction of parasitic capacitances in order to improve reliability and electrical performance. The first realised inverter is given on figure 3. This H-bridge is obtained by assembling on a PCB substrate a common anode three-pole chip, that integrates monolithically two RC-IGBT structures, and two discrete RC-IGBT chips that are mounted using the flip chip technique (cathode in contact with the PCB). The different power chips were realized using the IGBT technology process at the micro and nanotechnology platform in the Laboratory of Analysis and Architectures (LAAS). The management of electrical energy in the household applications (lighting, household appliances…) is an important market for the manufacturers of power semiconductor switching devices. In this field, the triac is widely used due to its reliability, low losses and low fabrication cost. However, the triac has some drawbacks in some applications like the « classical dimmer circuit » which is not compatible with most of electronic ballasts (capacitive load) mainly for low power ranges (˂ 100 W) and therefore low load currents (CFL, LED). In order to overcome this issue, dimmers based on the anti-series association of two MOS or IGBT devices are used. 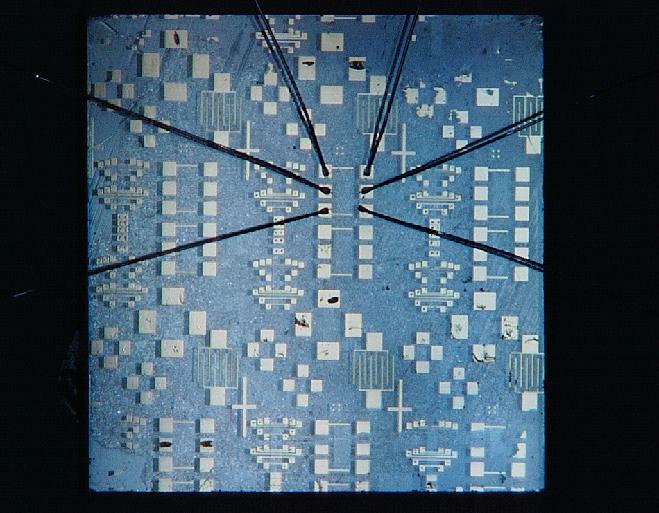 However, despite the improvements brought by these unidirectional devices, their high fabrication cost and the difficulty to implement the associated driver limit their widespread diffusion in this market. The devices that we are developing in this context are monolithic bidirectionnal devices controllable to turn-on and turn-off with respect to a single electrode reference and are intended for specific applications in which the load current is about 0,5A rms and the on-state voltage drop lower than 1V. The breakdown voltage of these devices is about 600V. The technological realisation of the devices relies on the IGBT technology process of the micro and nanotechnology platform at LAAS. Specific technological steps such as the vertical P+ wall will be developed and integrated in the IGBT process flow. In the same way silicon technologies revolutionized computing and communication, silicon and semiconductors in general will play a key role in the emerging energy economy of the 21st century for the transmission, distribution and consumption of electricity. Major goals are still a significant improvement in energy efficiency and the development of the new generations of devices that are needed for more electric transports, for example. Device power integration activity will mainly focus on wide band gap high voltage and high temperature power devices. 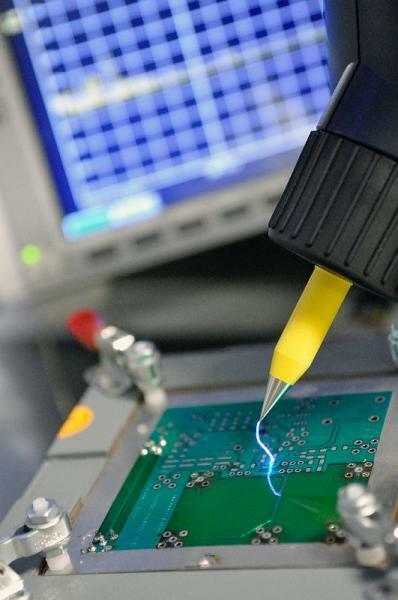 Our expertise in design, realisation and characterisation of silicon power devices is a main advantage and allows to rise the challenges related both to the design of novel architectures and to key technology steps required for their realisation and integration. 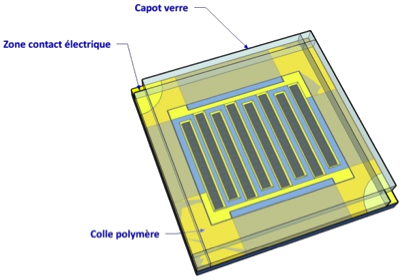 These activities are developed with many collaborators in France but also in Europe, in particular in the International Associated Laboratory (LIA) WIDE-Lab (Wide Band gap technologies for Integration of Energy efficient Devices). Thanks to the European dimension offered by the three actors: Ampère, CNM and LAAS, WIDE-Lab creates a unique platform in the field of Wide Band Gap technologies and system integration. Our research activities on gallium nitride power switches are recent. During the years 2001-2005, one could note the substantial progress but primarily limited to normally-on power devices (mainly HEMT). Thus, the semiconductor technology evolutions make it possible to consider gallium nitride as a promising material, which deserves a true R&D investment. 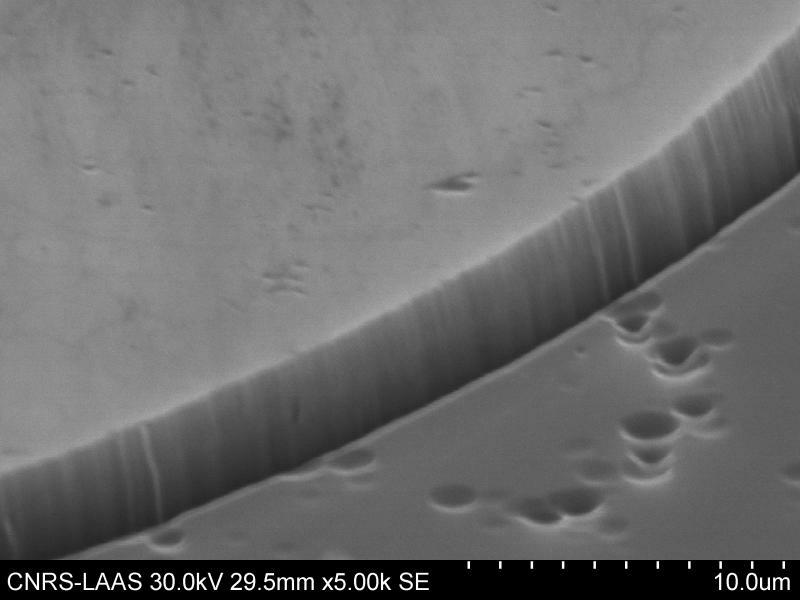 Furthermore, contrary to silicon carbide which must be carried out by crystalline growth on of the same substrate composition, GaN can be deposited by hetero-epitaxy on silicon substrates thus allowing a production on sections of more important surface (150 TO 200 mm). Over the next few years, regarding the architecture GaN-based devices, we will thoroughly study the preliminary solutions we proposed for a normally-off device (2 patents were recently deposited in this way). We will not only focus on the basic switch but also work on the integration of several switches thanks to the co-integration of GaN and Si devices on the same Si substrate, so as to take advantage of the best features of both materials. This will allow the realisation of monolithically integrated functions, for instance cascode associations of GaN HEMT and a Si MOSFET (or Si Schottky diode) or multi-switches chips, such as a basic switching cell and a H-bridge. A specific simulation platform with TCAD Sentaurus tools is also developed to design diamond power devices. This platform is particularly useful to design an advanced high voltage junction termination structures of diamond Schottky diodes, these periphery protections can be applied to the devices based on wide band gap materials such as GaN or SiC. Despite the technological barriers related to the quality of the material and the size of the samples, we will continue to work on the PN junction with our partners, which is real technological obstacle to achieve diamond power devices. 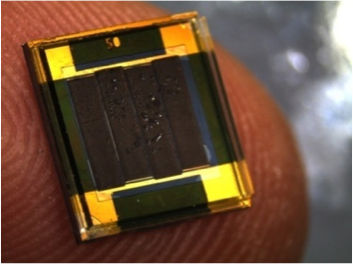 In the coming years, we will address the ambitious challenge of the diamond MOSFET realisation. The main task will be to develop key technology steps to achieve to achieve MOS capacitors on N-doped diamond, device ever conducted to date, and also on P-doped diamond. There are roughly 1.5 billion people without access to clean, affordable and sustainable electricity. All of these people are spread across regions with very different energy sources, energy needs and energy uses. This great diversity makes each and every energy system unique, thus posing a great challenge to classic engineering approaches to sizing and building renewable energy systems. Modeling systems a priori becomes nearly impossible and providing specifications to systems is a time-consuming endeavor. By the time the system has been designed, it either does not match the needs of the field or it is too rigid to accommodate future changes without substantial new investments. All of this calls for a change in paradigm. The results of this work are crystallized on the OwnWall project. For more information, check out the project at www.ownwall.org. Power management systems are critical blocks to deliver the energy required by electronic circuits. Their safety is key for critical systems like (break assist and cruise control in automobiles, battery charger…) and it is thus required to optimize their robustness to obtain high reliability product. However this becomes more and more challenging with technologies evolution. Indeed, technological dimension reduction of integrated circuits and cohabitation of power units with their control logic on the same die tends to make it more and more difficult to maintain an acceptable level of robustness. Based on the understanding of the phenomenon thanks to experimental measurements or simulations, we study and propose optimization to increase system immunity or provide effective protection solutions.